How to get to Koh Samui will depend on your time frame and budget. Koh Samui is around 690kms south of Bangkok in the Gulf of Thailand and 50kms from the east coast of Thailand. A flight from Bangkok takes just over an hour, and the islands is also serviced domestically from Phuket, Pattaya, and Chiang Mai. You can also fly in internationally from Kuala Lumpur, Singapore and Hong Kong. There are also rail and road options to the south-eastern coast followed by a boat trip to Koh Samui. There are a few options to get to Koh Samui, as listed below. The island is roughly circular in shape, and is about 15km across. The central part of the island is very mountainous jungle, which is only inhabited by local farmers, who live in a little shack, surrounded by a small plantation, chickens etc and live the old style way of life. The island also has various lowland areas which are connected together by a single road, that surrounds the island. Once you are on Koh Samui we recommend that you book your Koh Samui hotels through Bangkok Cheap Hotels. They have over 730 hotels listed on Koh Samui and all at great discounted rates. There are no booking fees and for most hotels, no cancellation fees. Cheap Flights To & Around Thailand and Asia. Koh Samui’s tropical scenic airport is the main gateway to the island, with hourly flights from Bangkok, Phuket, Pattaya, and Chiang Mai. Please check individual airlines departure times and dates for up to date information. There are also rail and road options to the south-eastern coast followed by a ferry trip to Koh Samui. Once on the island, you can rent motorbikes or cars to avoid the rip off taxi services. Taxis are supposed to be “Metered” but are not. Try to organise a price with them prior to the trip, which is mainly twice the price as what the taxi meter would be. Local authorities are trying to change this but if all the taxi drivers “stick together”, then you will have no choice to have a predetermined price. Flying to Koh Samui is the most practical way to get to Koh Samui, otherwise it takes about 15 hours by bus/ferry combo from Bangkok. There are often special internet fares available and the price for a one-way ticket is between 3,000 and 4,000 baht. Firefly currently flies from Kuala Lumpur and Penang to Samui and back. It’s also possible to fly to Surat Thani with Thai Smile Airways and then connect to Samui by ferry. Bangkok Air is the major airline to fly to Koh Samui Airport but more international airlines are trying to get a piece of the action. The Koh Samui Airport is owned by Bangkok Airways so it charges large airport fees for planes to land and depart. This makes it more expensive to land at Koh Samui than anywhere else around Thailand. Many airline companies fly to Surat Thani from the main airports around Thailand. Once you have landed at Surat Thani Airport you then can catch a bus to Donsak Pier and then the ferry to Koh Samui. You then get a minivan or taxi to your hotel from the Koh Samui Pier. There a 3 main ferry companies. Raja, Seatran and Lomphraya. Lomphraya is the fastest and cleanest option. It takes 45 minutes to reach Koh Samui. For an extra 100 baht it is better to catch the Lomphraya Ferry. 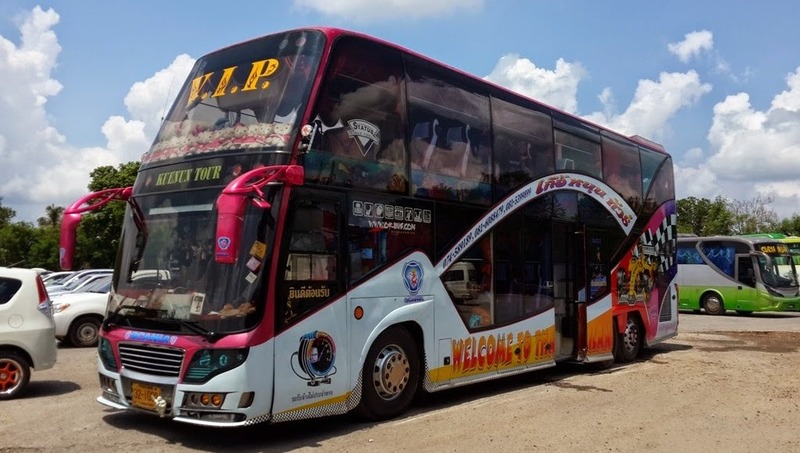 The cheapest and most time consuming option of getting to Koh Samui is by bus. Buses depart from Bangkok’s Southern bus terminal and take around 12-13 hours minimum. 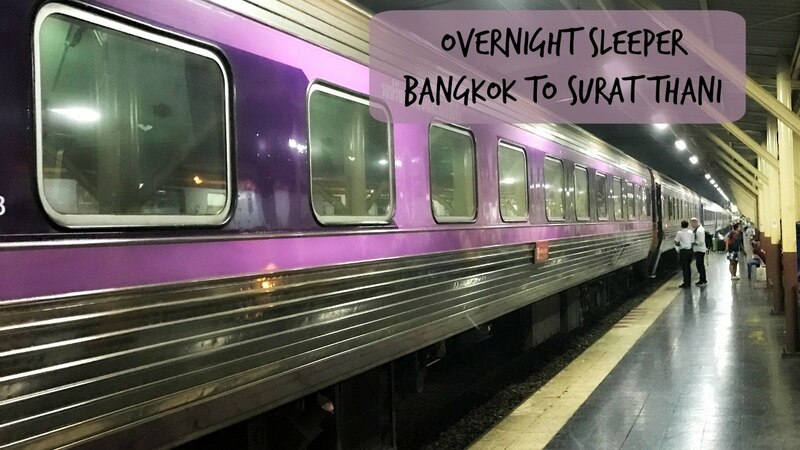 You will then disembark Surat Thani, wait around for another bus, or maybe have to stay at a hotel close to the terminal overnight and then be transferred to Don Sak Pier the next morning. Once you get to Don Sak Pier you then catch a ferry to Koh Samui which normally takes around 1 1/2 hours. Expect to pay around 800 baht for a VIP bus, but spending a few extra baht more can help to make your journey a little more comfortable. Depending on your time limit and budget it is worth taking the overnight bus, as you may get more peace on board when the video gets switched off and you can spend your travel time asleep. Catching a train to Koh Samui is a popular option and it is also possible to buy combination tickets. It includes a train trip to Phun Phin station in Surat Thani, followed by transfer to Don Sak Pier and then a ferry ride to Koh Samui. It is well worth taking this carefree option, since the overnight sleeper is way more comfortable than the bus and only just a little bit more expensive. There are also ten trains per day that depart from Bangkok’s Hualampong Station, so that your options and travel plans are not interrupted that much. Getting to Koh Samui By Ferry. You can reach Koh Samui from Surat Thani, which is the main town near Don Sak pier from Bangkok. Don Sak pier is located 40 kilometres from Surat Thani town. Ferry services operate from Don Sak pier to Koh Samui from 6.00 a.m. to 7.00 p.m. It takes 1 1/2 hours for the journey. There are four main ferry terminals on Koh Samui, depending on which destination or ferry, and the price and travel time can vary. 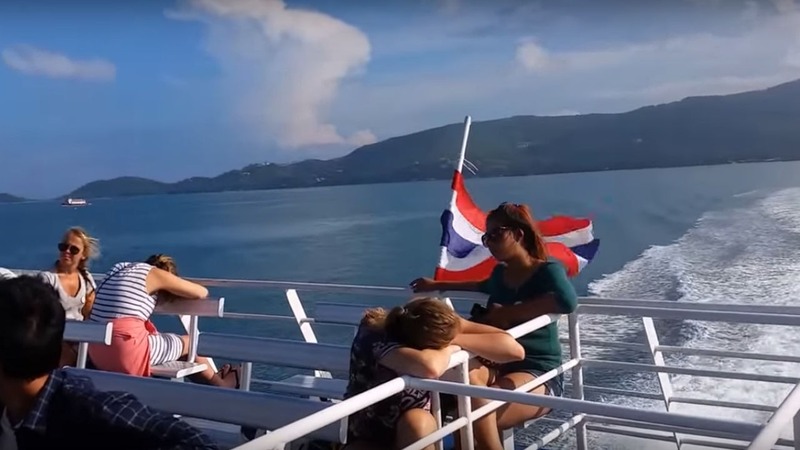 You can also access Koh Samui from Koh Pha Ngan or Koh Tao – even from Chumphon, you can catch a high-speed catamaran. Hope you enjoy your trip to Koh Samui.